Most of us rarely think about what it takes to make our truck run. There are several thousand pounds of machinery and electronics under the hood, all working together to give your vehicle the type of power you just can’t find in smaller vehicles. Whether you’re off-roading or carrying two tons of chopped wood, it’s vital that you have a battery that can start and run a motor that can handle these types of heavy-duty tasks. It’s never a pleasant experience when your battery dies, but for it to fail in the middle of a job just makes it worse. Although some light trucks can run the same sized battery used in most cars, the bigger trucks require more power. Every manufacturer rates their vehicles’ battery requirements based on how much power it needs according to engine size, accessories, charging system and starter demand. Keep in mind, this battery rating is the bare minimum needed, so you should always consider a higher rating for peace of mind. 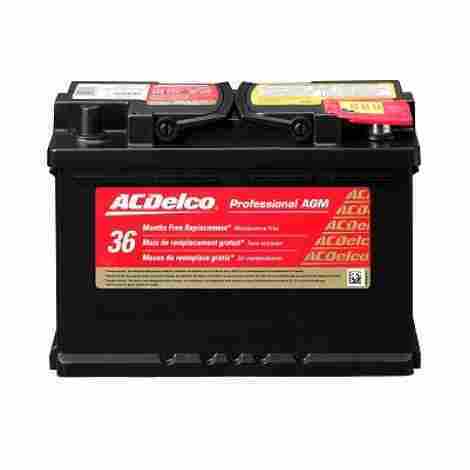 Other numbers you need to pay attention to when looking for a battery is the cold cranking amps and battery group. Not only does choosing the right battery play a major role in your truck’s performance, but it ensures that you’ll be less likely to get stranded somewhere due to a dead battery. There are several different factors to take into consideration when choosing the right battery for your truck, including CCA, reserve capacity and durability. It’s always a good idea to read the owner’s manual and do a little research first. We’ve put together a review of the top truck batteries on the market and their best features to help you find what you are looking for! At the top of our list we have the Optima Red Top, which has high cranking ability and made to work in some of the most severe weather conditions. It features special Spiral Cell design that allows it to provide strong and clean power in order to protect the environment and your family. The spill-proof casing makes this ideal for off-roading, racing, and other applications that lead to heavy vibrations. Optima is a company that has made over 100 million spiral cells over the last twenty plus years and have become experts in the technology. They use cells made pure lead plates coated in lead oxide to produce a clean and powerful energy source. 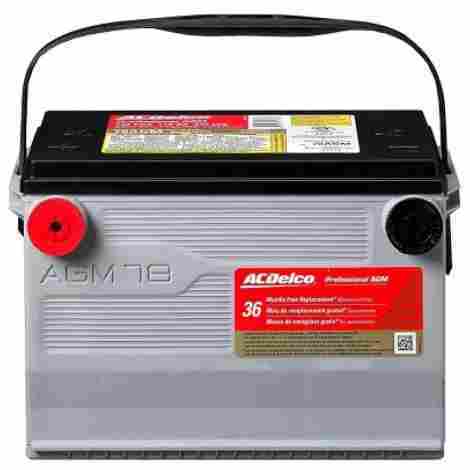 The special case was built to resist vibration fifteen times better than your standard car battery. It is also leak-proof which allows you to mount it in just about any position while handling rough terrain. This 12-volt option from Optima provides 800 CCA and has a reserve capacity of up to one hundred minutes, giving you more power when you need it most. Its maintenance-free design can extend the batteries lifespan up to two times longer. Optima has spent the last 40 years as an industry leader with engineering and technological innovations that have made their products a favorite for professionals and extreme auto enthusiasts alike. This product not only provides high-performance, but is one of the few truly dual-purpose options on the market with high cranking power and an amazing cycling ability. It comes in a polypropylene casing that provides the durability needed heavy-duty jobs. As a dual-purpose product, Opitma’s Yellow Top provides a powerful 750 cold cranking amps and the deep-cycling capabilities needed for fully-loaded trucks that feature hydraulics, high-performance stereo systems and running lights. The reserve capacity of a battery is important as it will tell you how long it takes for a fully charged battery to discharge at 25 amps until it falls under 10.5-volts. The Yellow Top can give you 120 minutes of constant power before it becomes discharged. 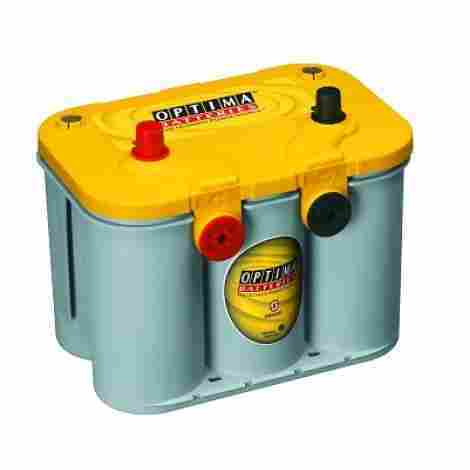 Opitima’s Yellow Top features a polypropylene casing that is very durable and vibration resistant, and helps increase the lifespan up to three times longer. It amazing deep-cycle ability makes it ideal for commercial and work trucks. ACDelco designed this product with convenience, durability, and power in mind. They have two, easy-to grip handles that distributes the weight of the product in a way that is less stressful on your hand. The battery uses oxygen recombination to reduce the amount of water lost in order to give you maintenance-free performance. It also has improved acid circulation that will keep your battery cooler. A leaking battery can be very dangerous to your car and your health. ACDelco ensures that their product is 100% leak and spill-free with a specially designed glass mat separator and vent cap that can resist leaks. Sometimes, the reason you can’t start you truck is because it’s not conducting enough power to turn over. The positive grid is made of calcium lead in order to provide your vehicle with maximum connectivity while decreasing resistance. Although this is one of the least expensive products on the list, it still packs a punch with 760 cold cranking amps and 120 minutes of reserve capacity. The maintenance-free design allows for less stress and longer life. This high-performance AGM option by ACDelco is just one example of what over a hundred years of innovative engineering can accomplish. This product features an absorbed glass mat design which permanently holds electrolyte in a glass mat separator that, along with a vent cap design, ensures that there will never be leaks or spills. It is also very charge receptive and has high-cycling capabilities that gives it an edge over its competitors. Good acid circulation plays an important role in keeping the battery cooler, which will help performance and extend its life. The 78AGM features a sturdy envelope separator and a back that is designed to resists punctures. ACDelco has added several features that will extend the life and improve performance. This includes high-density negative paste and silver calcium stamped alloy, which also helps increase life cycles. ACDelco has been manufacturing high-quality automotive parts for over 100 years and is one of the most-trusted brands around the world. They are so confident in their batteries that they offer a three mile warranty. 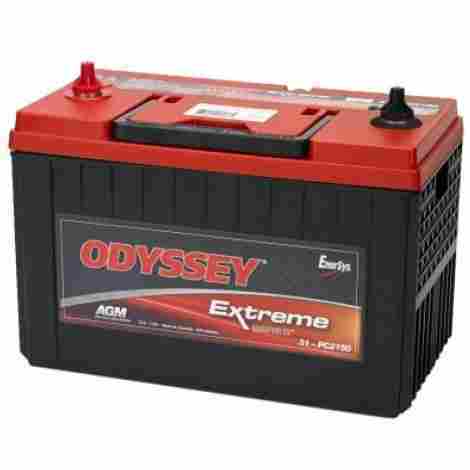 The Odyssey 34-PC1500T battery was designed to handle a wide range of tasks from powering antique and classic cars to high-performance, 4x4 trucks. It delivers huge starting power with 850 cold crank amps and 1500 hot cranking amps that pulses for up to five seconds. The casing is vibration resistant and features a non-spill design allows for mounting flexibility that makes it a great choice for modified vehicles. Odyssey products promise a service life of three to ten years, which is 70% longer than the life cycle of conventional deep-cycle options. It will sustain 400 cycles at up to 80% discharge depth and has the highest recharge efficiency than any other product in its class. A larger plate surface allows the Odyssey 34-PC1500T to have up to two times more life than conventional options, and when compared to other spiral-wound products, Odyssey has 15% more plate surface than those as well. 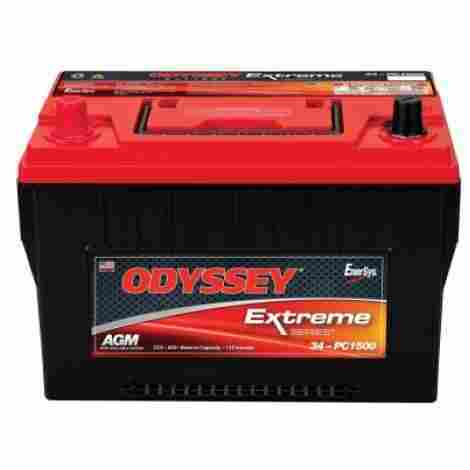 Odyssey promises consumers an option that has a 70% longer cycle life compared to the regular deep cycle batteries. 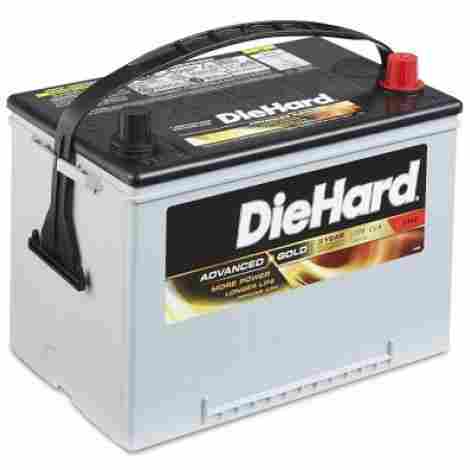 This will save you time, money, and a bad experience with a dead battery. This product was specifically designed for commercial and heavy-duty use and features an extra durable casing that can handle the extreme conditions. They use the highest quality, pure lead plates arranged in a non-leaking, absorbed glass mat design that protects against the type of vibration and shock that would damage other batteries. They have tin-plated brass terminals that not only ensure maximum conductivity, but also protects against rusting and corrosion. ACDelco uses virgin lead plates in their products because they last longer and can produce more power when compared to recycled plates. They are placed on a placed in a six-pack design that reduces dead space between cylinders and increases power and reserve capacity. A good protective case is vital for any battery. The Odyssey Extreme features a casing that vibration resistance, extreme temperature tolerant, and flame retardant. Every time you use this product you can feel safe knowing it was built to handle the toughest jobs. This is the most expensive option on the list, but it is also one the most powerful and toughest options as well. It delivers 1150 CCA and 2150 hot cranking amperes and comes with a three or four year full replacement warranty. DieHard designed this product to handle the extreme conditions faced by performance cars, RV’s, trucks, and other recreational vehicles. They have a superior absorbed glass mat design that can withstand the extreme weather conditions and heightened accessory power demands that many of today’s heavy-duty vehicles require. The construction not only protects you from spills and leaks, but offer twenty times more vibration protection for a longer cycle life. The construction of this product is all about protection and convenience. It features a sturdy handle for easy portability and heat-sealed, tamper resistant casing that prevents leaks and spills from damaging sophisticated electronic equipment. Batteries are not cheap, so it’s important that we get the most out of each one. DieHard Advanced Gold uses full-frame negative and positive plates which help prevent shorts that decrease the product's lifespan. DieHard has long been a dependable brand when it comes to affordable quality products and their accessories. This option provides your vehicle with 775 CCA and 120 minutes of RC and a rating of 55 AH at an affordable price. 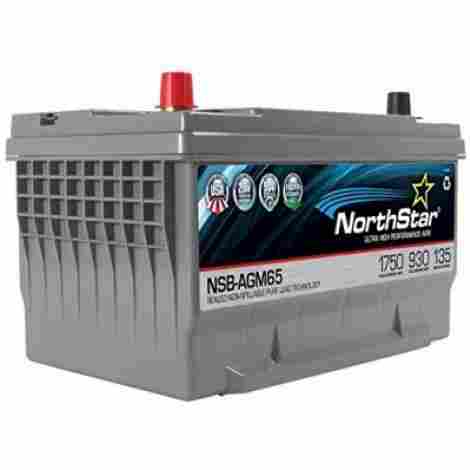 NorthStar is a top manufacturer of lead-acid batteries whose products are used all around the world. This product takes advantage of absorbed glass mat technology to deliver an exceptional 920 Cold Crank Amp and reserve capacity of 135 minutes, making sure that you have the power you need when you need it most. The progressive AGM design not only prevents leaks and spills, but it eliminates the need to check water levels or clean terminals. NorthStar manufactures these high-quality products at state-of-the-art plants here, in the United States of America. This means that you can count on high standards and amazing quality. With this premium option you get a product that is dependable and long lasting. It can sustain over 900 cycles at 50% depth of discharge and still ensure a quick start every time. This is great for vehicles that need a lot of power to sustain them. NorthStar uses a superior, pure lead AGM design to create a product that can deliver quick starting times and a high CCA rating. They are maintenance-free and made in the USA using the best technology in the world. 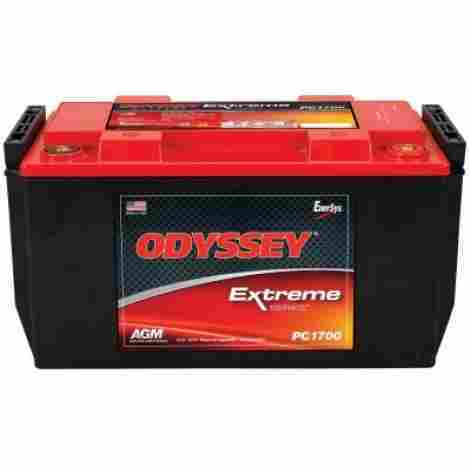 Odyssey has developed this product using the same type of engineering and innovative thinking that made the brand one of the automotive battery manufacturer in the country. 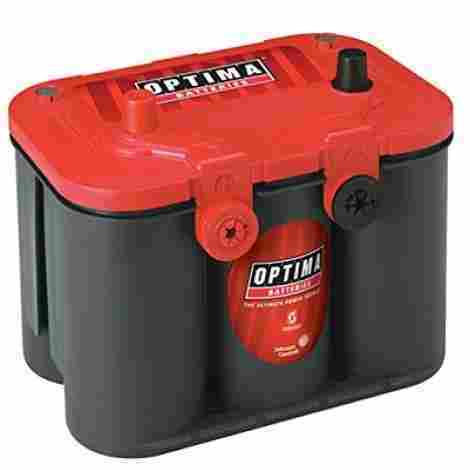 They’ve created a revolutionary design that combines the same kind of enormous cranking power you’d find in a starting battery and the steady flow of power you’d find in a deep-cycle battery, giving you the best of both worlds. Odyssey uses pure virgin lead plates as opposed to lead alloy plates, which are thicker. Because the plates used for this product are thinner, there are more of them in them, giving it twice the power you would find in conventional options. This is a high-performance, pure lead AGM battery that can sustain up to 400 cycles with a depth of discharge at 80%, giving it three times more life than normal lead-acid options. You will find that the power-hungry accessories found in most vehicles, such as heated seats, on-board computers, GPS navigation, and power mirrors and windshields, need a lot of power to run. This product was designed to meet the demands of today’s trucks. It’s not only capable of supplying your vehicle with 720 CCA and 120 minutes of RC, but it features Energy Life Technology that increases its life by at least two times longer. Unfortunately, we don’t get to choose when our battery dies. Bosch has designed this product to have greater charge acceptance and recharge capabilities, even in severe weather. The S6 option uses AGM technology to increase the cycling endurance up to eight times more than you would find in your conventional options on the market. It also ensures that it will work in extreme cold and hot climates. When you buy a Bosch product, you also get access to Bosch Roadside Assistance through Auto Road Services, making sure that you always have an option. They also back their product up with a four year warranty. Today’s modern vehicles features advanced electrical systems and technology that requires more power than ever before. Combine that with the demands and challenges your truck may face every day, you’re going to need a battery that can deliver more power for a longer period of time. All of the truck batteries that made the list features absorbent glass mat technology that has enabled them to be stronger, more durable, and last longer. Whether you use your truck for work or recreation, you want to be able to know that your vehicle will start. Find the battery that best suits your everyday needs above! These types are also known as Starting, Lighting, and Ignition batteries (SLI), and are designed to deliver a large surge of power in short bursts of time. Most vehicles have these and are great for getting your motor started and providing power to the radio, lights, and more. Unfortunately, they don’t have many charge cycles. Unlike SLI batteries, these types are designed to deliver a consistent amount of power over a certain period of time. They usually don’t pack as much starting power as starter options, but some of the newer models have much higher Cold Cranking Amps. These are great for off-road vehicles, commercial vehicles, and small recreation vehicles. Absorption Glass Mat (AGM) – This is a special sealed design in which the electrolyte is held in mats that have glass fibers woven in to increase the surface area. The plates in an AGM battery can be bent, flat, or rolled and help the battery perform both, starting and deep-cycle functions. Gel Cell Batteries – This type of battery features a silica type gel in which the electrolyte is suspended and made immobile. This helps reduce evaporations and allows the battery have a greater resistance to vibration and shock. Wet Cell batteries are the original recharge batteries and are also the least expensive kind. They are made from a liquid combination of water, lead, and sulfuric acid, which creates the electrolyte needed to provide power. They have a much lower cycle life compared to VRLA batteries and require regular cleaning and replacement of lost electrolytes. As the auto industry moves toward a cleaner energy source, lithium-ion options are being used more and more to power the hybrids and electric vehicles on the road today. Although they can store much more energy than traditional lead-acid products, their cost and short life-span is still a major drawback for this industry. The CCA is important for letting you know how dependable your truck’s battery is. It is a rating system that is used by the industry to let you know how amperes a 12-volt option can produce and maintain for thirty seconds in 0 degree F. The higher the rating, the more power it can provide, even during the coldest days. The PHCA rating is a system that lets you know how much amperes is delivered at a high rate over a short period of time. PHCA plays a vital role in getting the motor started and acts more like a pulse as it discharges a large amount of power in a very short duration, usually between 3 and 5 seconds. The MCA is very similar to Cold Cranking Amps as it is a measuring system that lets you know how much current it can provide for a period of 30 seconds at a voltage above 7.2 volts. The difference is that CCA is measured at 0 degree F, and MCA is measured at 32 degree F.
The ideal temperature for a battery to operate at its fullest potential is between 20 degrees C and 30 degrees C. Whenever it faces extreme temperatures, whether it be hot or cold climates, its life and performance can be severely affected. The operating temperature is the range of temperatures from the lowest to the highest in which it can still function perfectly in. Look for models that have a generous operating temperature range with lows at -40 degree C and highs at 80 degree C in order to avoid issues due of severe climates. They are usually very heavy, and sometimes that makes it difficult to handle and carry around. They should be easy to remove and install, allowing for quick recharging. A handle will not only ensure that you have an easier time placing it into the tray and removing it, but it also helps you stay safer by providing you with something sturdy to grip. The RC is the number that represents how many minutes it will take to discharge a fully charged battery at 25 amps in 26.7 degree C temperature until it is below 10.5 volts. This should give you an idea of how long you can run certain electrical devices in your truck without starting it. Trucks were made to take on some of the toughest jobs, including off-roading, towing, and carrying heavy loads. It takes a lot of power and resilience to be able to endure these types of conditions. Truck batteries need to be capable of deep cycling for consistent performance. It’s also important that they are able to resist vibration and shock as well as well cold and heat tolerant. An AGM option is best for heavy-duty work because it is spill and leak-proof and the battery can be mounted in any position. Q: How do I get the most service life out of it? Remove the cables starting with the negative cable first. Check the casing for any cracks or leaking acid, this is very dangerous and it should be replaced right away. Make a cleaning solution with a ratio of one tablespoon of baking soda for every one cup of very hot water. Use a toothbrush to clean the corrosion off the posts and clamps. Loose and dirty connections are often the root of the problem. Rinse with cool water and make sure that the clamps and battery are free of corrosion, dirt, and baking soda. Dry them off with a clean, dry cloth. 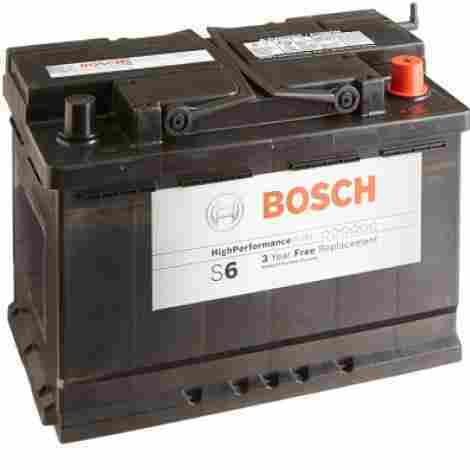 If you have a serviceable battery, you will need to check fluid levels. Make sure that you only use mineral-free water to ensure that you don’t contaminate your cells. Avoid over-filling the cells, especially when the temperature is hot because it can cause the fluids to expand and push out electrolytes from inside. You can use a terminal protection solution or petroleum jelly to lubricate all exposed metal on posts, clamps, and terminals to prevent corrosion. Reattach the clamp with the positive cable first. Make sure you have clean and tight connection for maximum conductivity. Q: Does it matter what size I use for my truck? When it comes to automotive batteries, there is no one size fits all. Different models require different types and sizes. If you fail to use one that is the right size or type for your vehicle, it will decrease in performance and lifespan. The car industry uses a standardized size group that is categorized according to spatial dimensions. You can always check to see what your truck came with to see what size you need, but if that information is not available, there are online websites that match car models to the appropriate size. Q: How many volts should it have if it’s fully charged? The best way to check if it is running properly is to use a multimeter. If it is fully charged, then it will measure at 12.6 volts or more. If you check again when the motor is running, it should read between 13.7 to 14.7 volts. If you don’t have a multimeter, you can still do a quick electrical check to see of your battery and vehicle is running like it should. First, you start your vehicle and turn on the headlights. If the lights are dim, that means that the alternator is not producing a charge and the lights are running off of the battery. If you rev the engine and the lights brighten up a little, then the alternator is supplying some current, but not enough to properly keep the battery charged. If the lights are normal and don’t change when the motor is revved, you’re charging system is most likely fine. Q: What are the most common reasons they fail prematurely? Human Error – We are not perfect and sometimes we make mistakes, like leaving the headlights on not shutting the trunk all the way. These mistakes cause the battery to drain and leave you stuck. Make sure you always check to make sure all lights are turned off and all doors are properly shut to avoid this. Bad Charging System – If your battery feels like it is dying while driving, there is a good chance that there is a problem with the charging system. If your alternator is not working properly because of loose belts or worn tensioners, or it has a bad diode, you will drain the battery even when the engine is not on. Take your vehicle to a mechanic and find the problem immediately. Old or Bad Battery – If you find that you consistently have problems getting your car to start, you may have a bad battery. It’s suggested that you get a new one every four to five years and keep it well-maintained. Lose or Corroded Connections – Corrosion can prevent your vehicle from having a good connection with the battery, which also means that it won’t charge properly. Always keep the clamps and terminal clean and ensure that there are no loose connections. Parasitic Drains – Although there are some parasitic drains that are normal, like the security alarm and radio presets, you battery is design to handle these. What it’s not designed to handle are those drains that are not normal, like dome lights that don’t turn off. If you find an electrical problem like this, you should take it to a professional to get fixed before you find yourself stuck in the middle of nowhere with a dead battery.